If Planned Parenthood is Defunded - Is the Church Ready? I recently attended an event hosted by Mosaic Virginia Pregnancy Center and heard Lila Rose, Founder of Live Action speak about the battle we are in to stop the abortion industry and my mind was drawn to Christ’s declaration that only the Church will never be overcome by evil. But what about the 18/18 Rule shared by Roland Warren, Care Net’s President? The 18/18 Rule says, without the transforming power of the Gospel, the same woman that visits a pregnancy center today will find herself in another unplanned pregnancy in 18 months and her daughter or son will be facing the same pregnancy decision in another 18 years. Enter the Church! That’s Church with a capital “C”, the Body and Bride of Christ. If Planned Parenthood is defunded will the Church be ready to step into the gap and offer compassion, hope and help to women and men considering abortion so that they might choose life for their unborn children and abundant life for their families? When the tragedy of 9/11 occurred I worked for a trade association that represented Christian publishers and retailers. Stories of many, many people rushing to church after that fateful day seeking comfort and assurance flooded our office lines and emails. But the crowds of people that turned to the church were soon gone. Why? Could it be that some churches weren’t ready to open their doors to people that made them uncomfortable, weren’t ready to love the unlovely, or to be the hands and feet of Christ to those who needed Him most? The Church is currently facing a new crossroad. Ignore what we’ve learned about Planned Parenthood and indeed about the abortion industry as a whole or believe the words of Christ in Matthew 16:17-19 where he says that the powers of hell will not and cannot conquer the Church. Only Christ’s Church has the power to overcome this evil known as abortion which is a spiritual not a political battle. A battle that Christ has already won, but one we are currently fighting. And so I ask, is the Church ready? 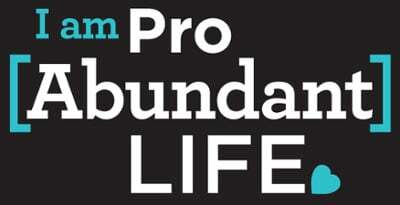 Is the Church ready to train up Life Disciples who can offer compassion, hope and help to anyone considering abortion? Is the Church ready to walk alongside unmarried parents, by filling in the gap with mentors, friends, and stand in grandpas? Ready to start post abortion healing ministries for the many women and men who suffer silently each week as they sit in pews putting on a happy face? There are approximately 2,500 pregnancy centers but there are approximately 350,000 Christian churches (Protestant and Catholic)!! So what is the Church to do, whether Planned Parenthood is defunded or not? Pray. It is Christ’s Church, His Body and Bride and its power comes from Him. Preach. In spite of the number of Christian women and men who are post-abortive, and sitting in the pew every week, join pastors like Rob Bugh, Sr. Pastor of Wheaton Bible Church in sharing the Good News that, “There is no sin that has more power than the cross”. Practice. James 1:27 tells us that pure and genuine religion in the sight of God the father means caring for orphans and widows in their distress. 85% of women having abortions are unmarried, making the mothers and babies abandoned by fathers cultural widows and orphans. Every church is unique. If you are a pastor it’s time pray, preach & practice. Invite a Care Net Center to set up an information table at your church every Sunday you preach a life-affirming sermon or focus on local ministries. Offer hope and the healing message of the Gospel to those suffering the wounds of abortion. If you are a member of a congregation begin a dialogue with your pastor and others at your church about how to show Christ’s love as you serve those struggling with a pregnancy decision or wounded by abortion. 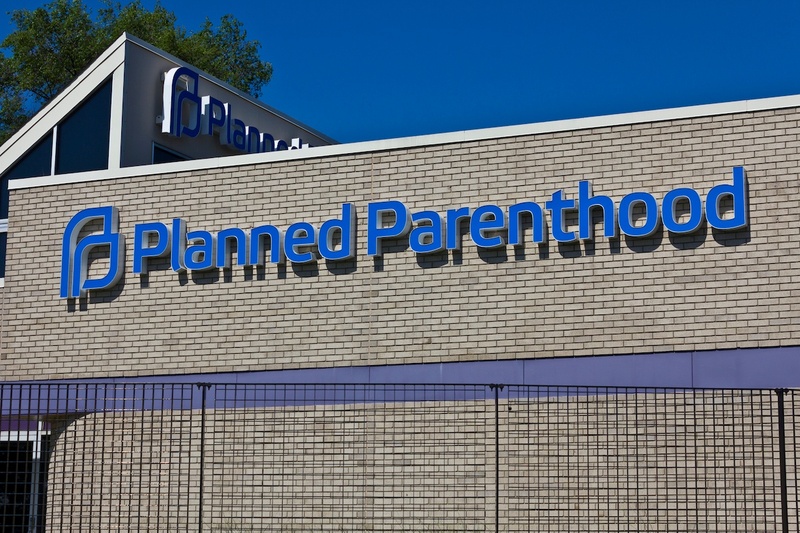 There have been nearly a dozen videos exposing Planned Parenthood released so far. Will the Church get ready? If not now, when? To find the nearest Care Net pregnancy center in your area go to http://www.care-net.org/find-a-pregnancy-center and simply enter your zip code or the zip code of your church.